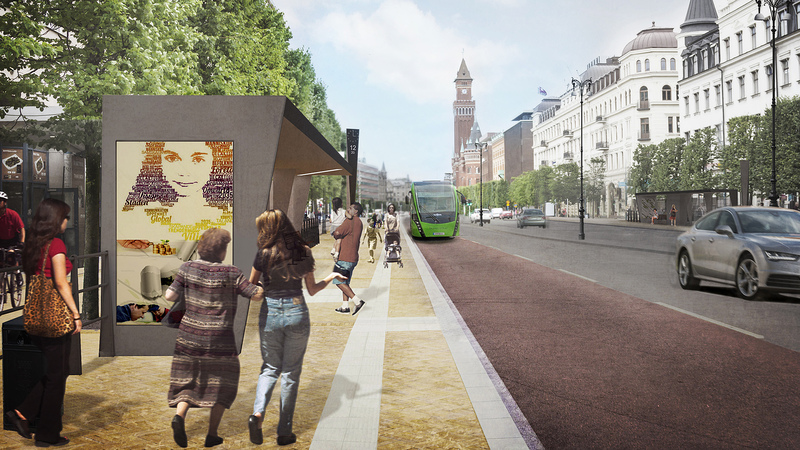 Illustration of the planned redesign of Helsingborg’s main boulevard, Drottninggatan. A new and exclusive report by Gate 21 & Innovation Skåne, estimates a big potential for LED-investment, and its related energy savings, in Greater Copenhagen. As a part of Lighting Metropolis, it was decided to make a data collection among the municipalities in in the Greater Copenhagen metropolitan region. The purpose was to establish a baseline for the composition of different type of light in public areas, whether they are in municipal buildings or street lighting, and then investigate the potential for a replacement to LED based lighting. Below is a summary of the key findings, in terms of investment potential. Currently, 23% of the total public lighting in the 46 Zealand municipalities are based on LED. The investments needed for a realization of the savings potential, i.e. a total replacement for LED lighting in the 46 Zealand municipalities, is estimated at MDKK 651,3. The response rate for the Scanian municipalities were lower and the survey is based on the 15 municipalities out of 33 who chose to respond to the survey. This shows a current LED share of 22% of the total public street lighting. Here too, it appears that the proportion of LEDs varies from municipality to municipality. The estimate indicates a saving potential of 44% of total energy consumption or SEK 17,9 m. The investment need for a realization of the savings potential, i.e. a total replacement for LED lighting, in the 15 Scanian municipalities is estimated at MSEK 209,9. It is harder to get specific information on lighting in public buildings. Often the lighting part is difficult to isolate from the other energy-consuming parts of the buildings. However, as shown in the table below, based on the questionnaire, the proportion of electricity consumption going directly to lighting in public buildings is estimated to an average of 23 %.Of the total amount of lighting, the information from the surveyed questionnaires indicates that on average 22% of the lighting in public buildings is changed to LED in Denmark and 7% in Sweden on average. Just like with road lighting, the study shows a relevance in working to scale the spread of LED-based lighting in public buildings. The current proportion of LED-based lighting in public buildings accounts for 22% in Zealand municipalities and 7% in Scanian municipalities. Lighting accounts for just under one quarter of total electricity consumption in public buildings, 23% in Zealand municipalities and 22% in Scania respectively. And once again the survey shows a significant potential for saving megawatts by a complete transition to LEDs in Zealand and Scanian municipalities. The annual electricity saving of a lighting replacement is estimated to be 55-60 % of the total electricity consumption for lighting in both Zealand and Scanian municipalities.